We need sleep to function at our best, which is why building sleep credits are always a sound investment. Sleep is needed to consolidate long-term memory, regulate emotion, boost executive function and keep the brain clean. 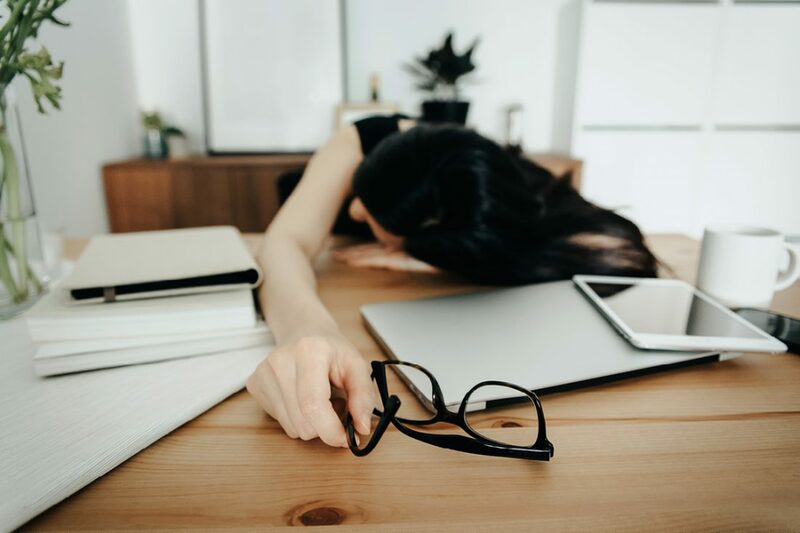 But with around 40% of Australians reporting poor or insufficient sleep, we have an epidemic of daytime fatigue, reduced performance and increased errors. And it comes with a cost – estimated at A$66.3 billion in 2017, including A$17.9 billion due to reduced productivity. For business leaders, insufficient sleep is placing an increasing cognitive burden on decision-making, innovation and relationships. Being able to think straight matters. It disrupts hormones including dopamine, serotonin and cortisol, affecting our mood, energy and thinking. It affects those genes concerned with optimising how well the brain works. It reduces focus leading to poorer concentration and attention. It slows speed of processing information and reaction time. Impaired memory consolidation along with an increased risk of future cognitive decline when sleep deprivation occurs in mid-life. Voluntary sleep restriction, as justified by heavy workloads, global commitments and travel, simply isn’t worth the risk. Our neurons don’t work as well when we are sleep deprived. Myth 1: You can train yourself to do with less sleep. False. It’s time to lead the revolution for better sleep starting by debunking some of the common sleep myths and placing a high value on sleep. Be consistent, especially with a regular getting up time. Just like our kids, we do better with a regular sleep schedule. If you can’t sleep, but feel relaxed, don’t stress. Resting still provides benefit. If not being asleep is annoying you, get up and engage in non-stimulating activities until you feel sleepy again. This wouldn’t include writing a presentation or staying up to watch the finals of the World Cup Rugby series. Night prepares us for sleep. Working late using a screen that produces short wavelength (blue) light interferes with melatonin production, confusing the brain into thinking its not bedtime yet and keeps the brain aroused, making it more difficult to switch off and prepare for sleep. Myth 2: A nightcap helps us to unwind and sleep better. Sadly, no. While alcohol is relaxing and gets us off to sleep quickly, the cost is a more fragmented, less refreshing and shorter sleep with less time spent in REM – the type of sleep needed for memory consolidation. Try dimming the lights in the evening, and ensure the bedroom is always cool and as dark as possible. If night-time sleep is problematic, a 15-minute power nap at lunchtime can provide 2-3 hours of improved alertness and attention. Perfect for that long afternoon of back-to-back meetings. In 2016, The CEO of Aetna drew media attention with his decision to pay his staff a bonus of $25/night (up to a max of $500 for the year) if they could demonstrate they were getting more than seven hours of sleep for 20 consecutive nights. His decision was based on the understanding that his workforce performed better when they weren’t tired. Regular exercise primes performance for the rest of day, elevates mood, lowers stress, and enhances sleep quality. Mindfulness and other forms of meditation practice have been shown to also improve sleep quality. For better brain health and function, sleep is not negotiable. A good night’s sleep keeps thinking sharp and focused on what matters which is why investing in sleep credits is always a positive asset. Dr Jenny Brockis is a Medical Practitioner, healthy brain advocate and a renowned professional speaker.